Motorcycling and fashion have been holding hands for quite some time now. 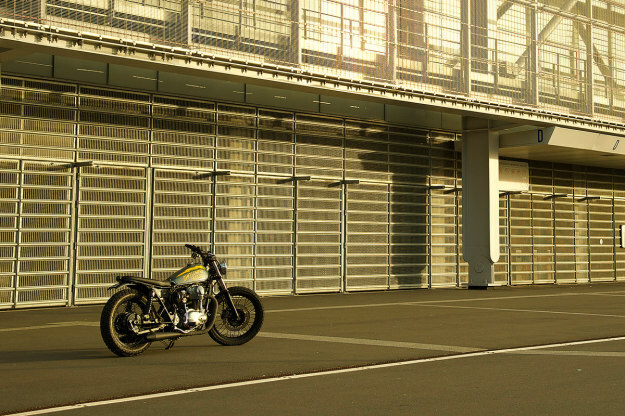 Fashion houses are commissioning builds and using motorcycles in their marketing. And conversely, custom shops are turning to merchandise to help grow their brands. Somewhere in the middle you’ll find Gentlemen’s Factory. 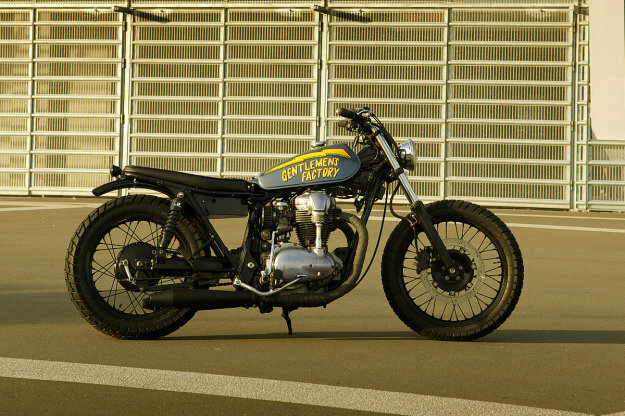 Based in an old factory in Lille, France, it’s an apparel and dry goods producer now applying its aesthetic to bikes. 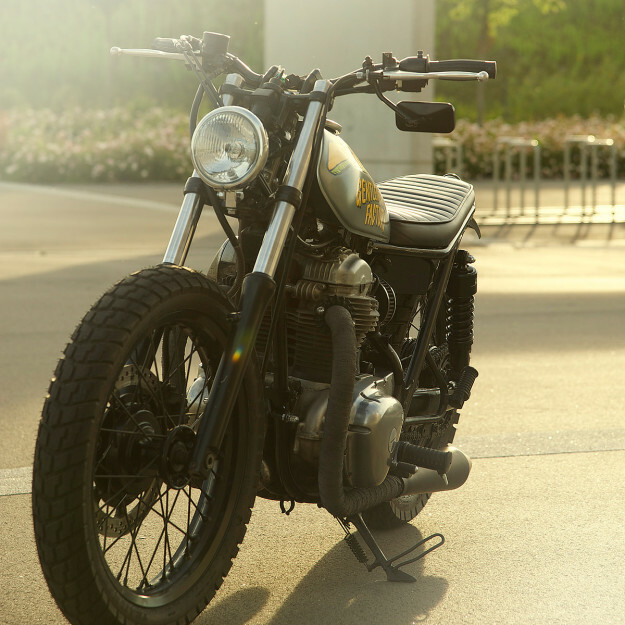 And judging by this Kawasaki W650, they’re doing it right. 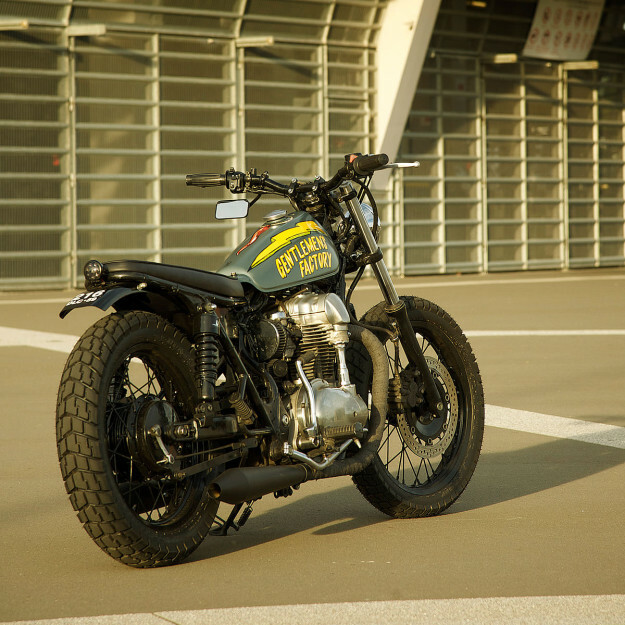 Gentlemen’s Factory has already rolled out four builds—and this folksy Kawasaki W650 is the latest. 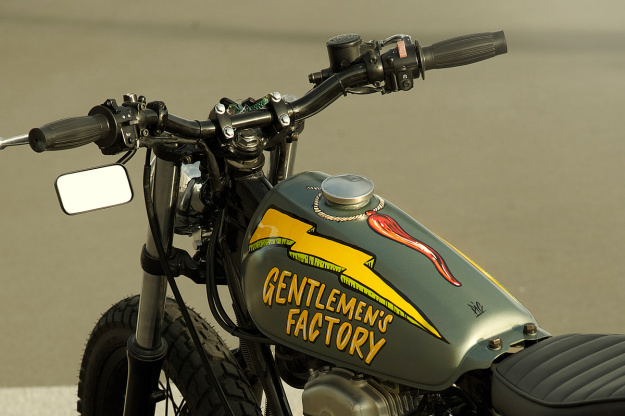 It was built in collaboration with Comete Motorcycles, who have just set up shop in the same premises. The W650 certainly appears more svelte now, thanks in part to its new fuel tank. It’s a Suzuki VanVan unit, adorned with an eye-catching illustration hand-painted by Laurent’s business partner Bruno Allard. Flowing off it is a slim, full-length leather seat—designed by Laurent and executed by Comete. Tossing the stock side covers, battery and air boxes has shed more visual weight. The bike now runs on K&N filters and the carbs have been upgraded with a Dynojet jet kit. The electronics—along with small Lithium-ion battery—are housed in a discreet, custom-made battery box under the seat. The rest of the Kawasaki W650 has benefited from simple changes: There’s a pair of Progressive Suspension shocks (taken from a Harley-Davidson Sportster), blacked-out reverse cone mufflers and a set of Dunlop Trailmax tires. 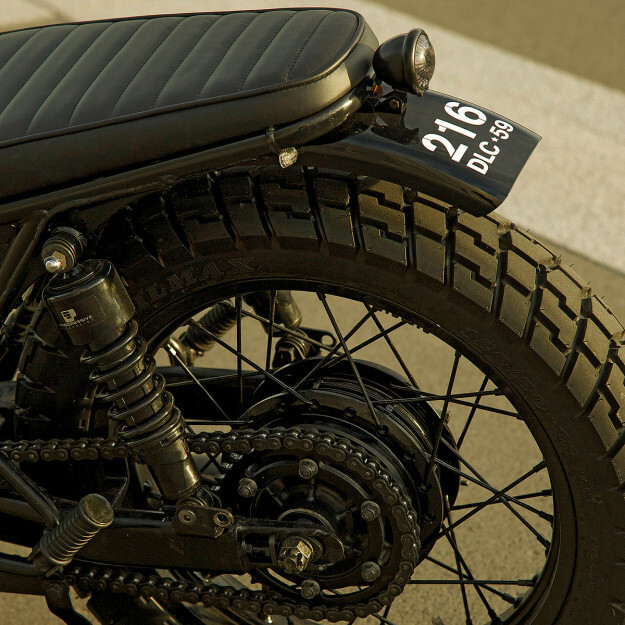 The rear fender is a modified Harley item, and the lighting is all from the Wrenchmonkees online store. It’s an uncomplicated, slightly kooky build—and we dig it. Perfect for hopping curbs all day, or tearing up a dirt track without the fear of binning it. We’re looking forward to more from these gentlemen.